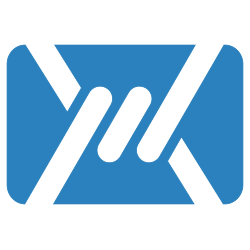 We’re happy to present the Mailfence Release Notes May 2018 with several new features, improvements and fixes. A new option of white-listing a sender address/domain while marking a message as ‘Not a spam’ is proposed now. Messages: Draft folders can now be accessed directly by using the ‘Edit’ option. Contacts: The birthdate field has been included. Messages: In-line images are displayed in draft items. Messages: Forwarding of messages with attachments has been improved. Messaging: Mangling of HTML content while saving and re-opening draft items has been fixed. IMAP Server: Sub-folders of special folders (Inbox, drafts, sent and trash) in shared account are now accessible. IMAP: Drafts created from local email client can be sent via web-interface. Document: Wrong folder display when using the same link more than once has been fixed. Calendar: The context menu of group calendar has been improved. vCal: Office365 recurrent calendar event can be imported. IM: Re-connection process to the XMPP server when connection is lost has been improved. Various security improvements have been made as well. A remote content blocking bypass was fixed immediately after it got reported by Mike Cardwell. We thank him for notifying us.